Immigrant families reached the US from Mexico after crossing the Rio Grande River and got detained by the US authorities. Sandra Sanchez said she and her daughter had been traveling for a month through Central America and Mexico to reach the US and seek asylum. Trump’s Administration announced a “zero tolerance” policy on the border, which means that immigrants could be criminally prosecuted on the border. As a result, many parents were separated from their children and often held in different detention facilities. 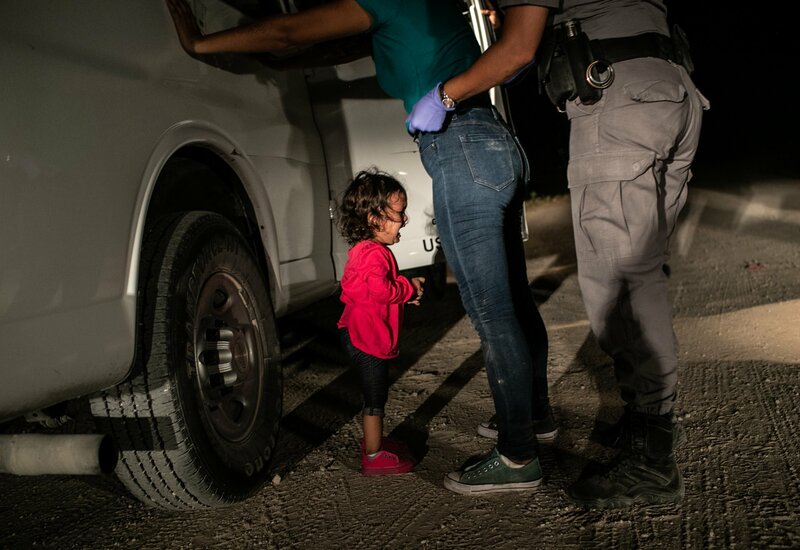 After the photo was published, American border and customs officers confirmed Yanela and her mother were among the separated families. Public criticism made Donald Trump reverse the policy on June 20, 2018.